At RF Web Design, we provide professional web development services and build our business based on the referrals of satisfied clients. We take pride in helping our clients develop a useful, professional web presence that enhances their business success. 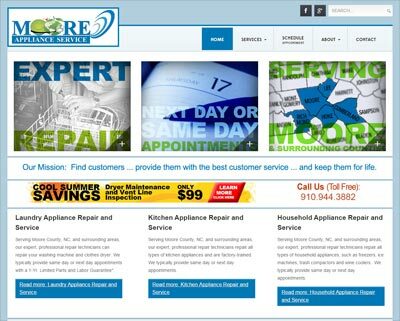 Since late 2012, RF Web Design has produced websites using Responsive Design. That is, creating websites that provide an optimal viewing experience - easy to read and navigate - across a wide range of devices (smartphones to large monitors) with minimal panning or zooming and more attention to touch controls. Thank you to ALL our clients for their continued confidence and business with Really Fine Web Design LLC!